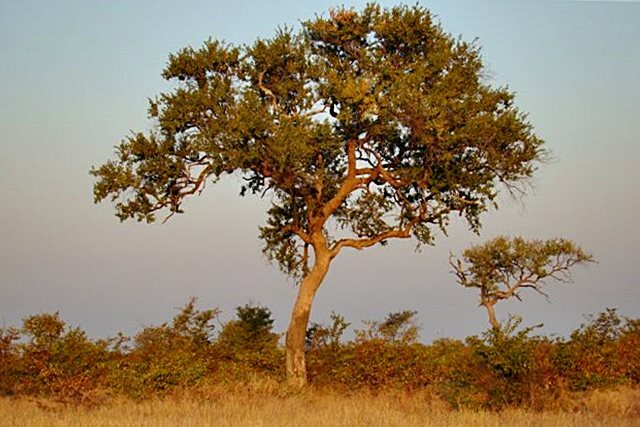 Leadwood trees are a characteristic and often impressive bushwillow species of the southern Afrotropics. The tree can be found in all bushveld regions and in mixed forests as well as in the Lowveld areas where it grows along streams and rivers. It grows very slowly and is a long-lived tree (up to 1000 years) and even after it dies, the Leadwood tree stays impressive with it pale grey trunk and soaring branches. The tree, which is the tallest of all combretums, grows up to 20m in height and is a medium to large, semi-deciduous tree. The medium to large trees has a small spreading canopy with oval greyish-green leaves. Identification could be made easier by the light grey “snakeskin” like bark and its unique pattern of horizontal and vertical “cracks” forming a network of rectangles. Flowers (which are produced from November-March) are yellowish, cream-coloured and have a sweet fragrance. Parts of this tree are used by various tribes in a number of ways. Smoke that comes from the burning leaves has been used to relieve coughs, colds and chest complaints. 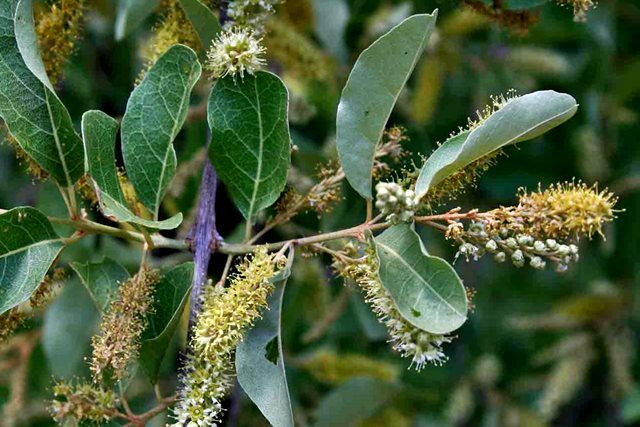 The leaves are believed to have magical powers for treatment of diarrhoea and stomach pains. The Leadwood tree (Hardekool) is fairly drought resistant, but slightly frost sensitive.